A recent study by Dr. Lohr from Washington State University found that the subjects were 12% more productive when they worked in an environment with indoor plants versus no plants. Researchers at the Agricultural University of Oslo found that subjects that worked in a building with indoor plants reported 20% less fatigue, 30% less headaches, 30% less sore/dry throats, 40% less coughs, and 25% less dry facial skin than subjects working in a building without indoor plants. Plant-filled rooms were found to contain 50-60% fewer disease causing airborne mold and bacteria than rooms without plants according to Bio-Safe Incorporated. 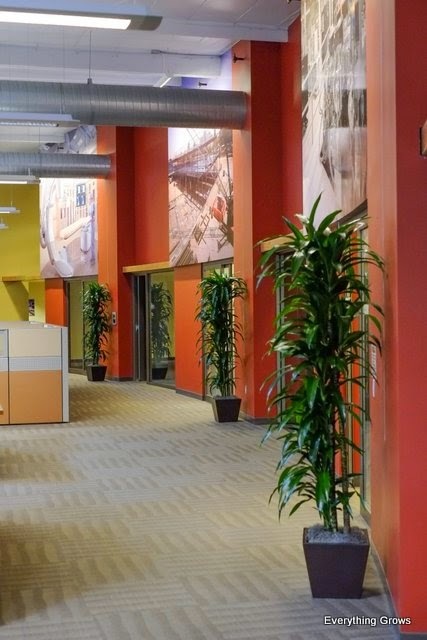 An 8-month study completed by researchers at Texas A&M found that the subjects working in a building with indoor plants generated 15% more ideas (measure of innovation) than those subjects that worked in a building without plants. The subjects in a study directed by Fengel et al. in 1990 rated the retail products on display 30% more favorably and were willing to pay 12% more for goods in an environment with plants than an environment without plants.